Bukoba Catholic Diocese is located in the North West of Tanzania in Kagera Region. Kagera region has three diocesese, Bukoba, Rulenge-Ngara and Kayanga.The Catholic diocese of Bukoba was first evangelised in 1892 by the Missionaries of Africa. Currently, Bukoba diocese has 32 parishes.Read More. 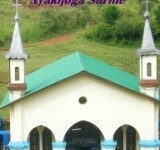 Nyakijoga, a shrine of Our Lady of Lourdes, is a place of pilgrimage in the Parish of Mugana, Bukoba Catholic Diocese, where the faithful may obtain, through the intercession of the Blessed Virgin Mary, God's benefits like the pilgrims who go all the way to the shrine of Our Lady at Lourdes in France.Read More. 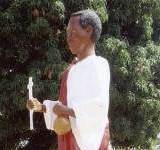 Bukoba Diocese is pliviledged to be the birth place of the first Saint in Tanzania. St. John Mary Muzeyi one of the 24 Uganda Martyrs was born at Kishomberwa in Bukoba Diocese in Tanzania. Kishomberwa is now a pilgrimage site in honour of St. J.M. Muzeyi. Read More.